The combined length of the borders of the Baltic countries of Estonia, Latvia and Lithuania is about 3170 miles. What sort of shoes could last that distance? We believe that ones made right here, in the Baltics. We're not talking about seven-mile-boots – the ones from fairy tales that allow their wearer to take steps that are seven miles long each. Although, you never know... We've selected four master cobblers from the Baltics whose designs are so stable and aesthetically pleasing that they could, conceivably, make such a great leap. With the right shoes, one can go far – we all know of the girl who, thanks to the right shoe, pulled herself out of the cinders and into a castle; why shouldn't the quiet and dust-covered shoemakers of the Baltics show up on the lists of international design awards, in the programs for showrooms, and in the columns of reporters covering fashion shows?! They're not even that far off from reaching this goal – the Lithuanian felt-shoe label, my feltboots, just received the Red Dot Award in the category of product design. As for a more detailed description of the current shoe-design scene in the Baltics, we'll let the designers – Sille Sikmann and Kärt Põldmann from Estonia, Elīna Dobele from Latvia, and Daiva Zgrabskė from Lithuania – speak for themselves. Read on to find out about their challenges, victories, discoveries, inspiration and view of shoe design as such. 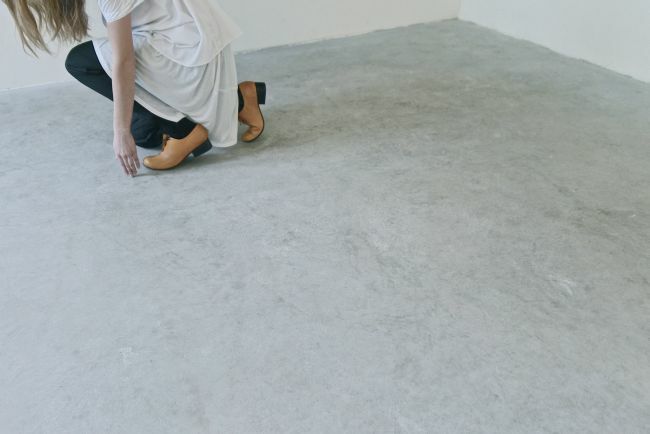 After discovering that shoes are not repaired anymore, and that the materials used in modern footwear production do not allow for their refurbishment, Estonian designer Kärt Põldmann understood that the way to go is to collaborate with local shoe repairers and utilize their skills and resources – since only handmade footwear is long-lasting and repairable. In terms of footwear design, Põldmann is very rational, putting functionality above all. She knows that design can empower our lives. The idea behind Scheckmann shoes – the mens' footwear label by Estonian designer Sille Sikmann – is to offer Nordic men a line of high-quality handmade shoes and accessories with a cheeky, chic and personalized touch. The Latvian designer Elīna Dobele is a certified architect, and knows the importance of both design and the necessity of a successful compatibility among structure, form and material in the creation of a functional and aesthetically pleasing home. A designer of both mens' and womens' shoes, Dobele believes that our shoes tell the tale of which paths have been taken, as well as the ones we still wish to take, and that's why the sturdy shoes of ELĪNA DOBELE encourage one to take steps towards the unknown, no matter how far the journey may be. The simplicity and sureness of Dobele's footwear encourages its wearer to be motivated and decisive, while the shoes' stability and quality make one feel secure. Lithuanian-born Daiva Zgrabskė is the designer behind the my feltboots brand which, as its name implies, manufactures felt boots (in Russian -- “valenki”). 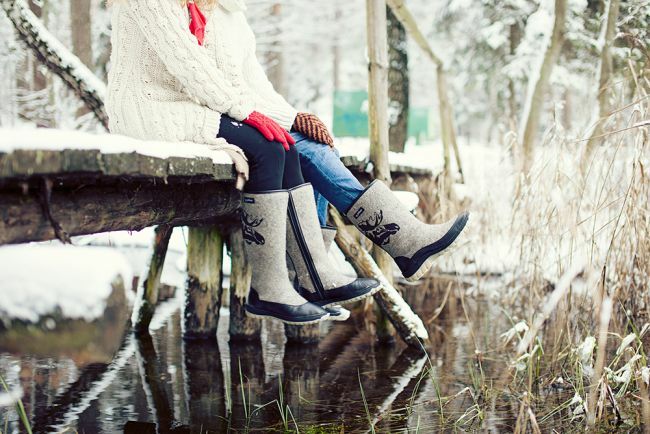 Since they are eco-friendly and natural, the demand for felt boots is growing; Zgrabskė believes that she has found a niche for her boots in the eco- or green-living market, which is made up of people who have a philosophy of using only raw products, or ones that are based on pure and natural materials. And my feltboots are, indeed, “eco” because they are made only from natural materials, such as a combination of wool and leather. In the spring of 2014, the Lithuanian designer (who received her country's national design award, Best Design 2012) was the recipient of the prestigious Red Dot Award: Honourable Mention, for my feltboots shoe design in an international design competition. Her pure-shoes design fascinated the international panel of experts and the “Oscars” of design awards – the “Red Dot”, was awarded to her in the product design category. What is the current state of shoemaking and footwear design in the Baltic countries? This question can best be answered by the designers themselves, for they are the ones who must daily face such issues as materials sourcing, learning the tricks of the trade, and their customers' ability to judge quality. Sille Sikmann from Estonia admits that the craft of shoemaking has practically died out in Estonia, which means that her choice of materials is limited. This same issue is especially problematic for her compatriot, Kärt Põldmann, whose designs are so deeply rooted in the legacy of Estonian shoemaking that every pair is made by hand, in her workshop – just like in days of yore. She says it was a sheer stroke of luck when two years ago, while working on her final project at the Estonian Academy of Art, she managed to find traditional cobblers who could show her the ancient methods and techniques. Daiva Zgrabskė from Lithuania is of like mind when she states that in her country, there is also a lack of good professionals and modern manufacturing facilities; she adds, however, that such a deficiency is more or less natural in such a small country. Admittedly, the Estonian and Lithuanian shoe designers aren't yet seriously involved in the export business – Kärt Põldmann creates designs for friends and friends of friends, some of whom live outside of Estonia, and Sille Sikmann admits that there is ample demand for custom design in her home country: “... in the Estonian market I'm mostly doing custom orders, and it seems quite sufficient – I have rather long order lines at the moment, and people are also interested in small series, so I'm also developing a Nordic mens' mini-series line for small boutiques.” Daiva Zgrabskė is just beginning to take her first steps in doing business outside of the Baltics by participating in international trade fairs. What should they be proud of? Designers from small countries are usually most proud of breaking down the walls and getting into the big countries and their markets. For Sikmann, in addition to receiving an Honorable Mention for a Design Project at Estonia's 2012 Bruno Design Awards, this would be being part of the Estonian delegation that won the top prize at the International Fashion Showcase in 2014 – held during London Fashion Week, this was already the second time that the Estonian exhibition won. Põldmann was also part of this same winning team from Estonia, and also took part in one of the greatest recent projects in Estonian design – “Kaamos. Fashion now: Estonia by Tanel Veenre”. But Põldmann says that she appreciates all of the projects in which she has been invited to participate, and she also values the everyday, little silent moments that make her shine with pride – because she is able to do something that she enjoys. Zgrabskė's overwhelmingly proudest moment was her recent Red Dot Award win, but she is just as proud when she sees her Busy Moose designs being worn in the streets of the city, and knowing that people wear their pair of my feltboots with pride. Every time she sees someone wearing her footwear, she feels as if that is her personal pair – because she has put her whole heart into creating them. Who are the people that wear footwear made in the Baltics? What do the designers think is the role of footwear in a person's overall “look”? Zgrabskė, on the other hand, looks at the question in terms of a person's needs, and says that whether it is boots or sneakers, moccasins or lace-ups, we complete our picture with a handy pair of shoes. This is not about being fashionable; it is all about necessity. A person's needs could be to have others see them as nutty, ordinary or eye-catching, or to even fish for compliments. It is all about the individual and the way he wants to see himself in the mirror. Thinking in terms of the look and wearability of their shoes, we gave the designers the opportunity to define what they see as the essential criteria for well-constructed and well-designed shoes. Life, like the movies, is made up of scenes that must be played out – and that are best done while wearing the right shoes. When thinking about shoes and the movies, several iconic characters come to mind, such as Montmartre's Amelie with her boyish and scuffed brogues, Forrest Gump and his Nikes, Clint Eastwood's cowboy boots, and Al Capone's black and white patent spectators... Our selected group of designers create a very diverse array of footwear, and it's interesting to hear how they imagine their clients' lives playing out while wearing their shoes. Põldmann: “I wish to bring the golden ideals to the present, combining dreamy magic and everyday reality. I believe in mixing styles and images, so you can look appropriate in many life situations. 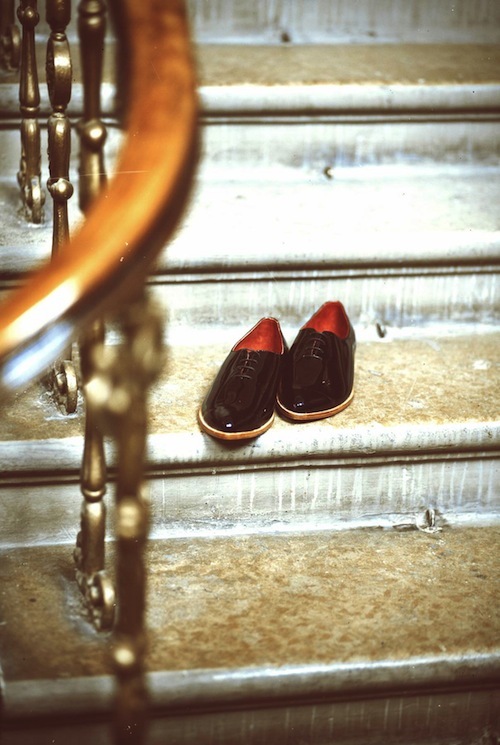 I can not list any definite rules about when and where one should or shouldn't wear my shoes; I hope that people feel that they can wear them for both special events and casually, day to day, just because they feel good”. Zgrabskė: “Speed, time, movement – these three words characterize the busy new age that dictates the pulse of the city and influences our lifestyle. We want to get dressed fast and to look fabulous – but we want to be comfortable. In my opinion, my feltboots shoes for the modern man and woman ideally fulfill this function. When asked what is her view of current trends in shoe design and what brands are worth following, Sikmann mentions (in terms of mens' shoes) Aki Choclat, Aku Bäckström, and the Italian designer Diego Vanassibara, who uses wood accents in his shoes. Sikmann points out that in mens' footwear, the trends are still focused on classical styling, adding: “but as you can see from the magazines, there are little canvas- and tweed details sometimes added, too, and a little more color – to give men more variety of choice. And classical mixed with modern keeps a shoe in fashion for probably forever, because a touch of classical never dies out. And men usually like to keep it simple and chic, because they want to wear their shoes with lots of different kinds of outwear”. Kärt Põldmann, on the other hand, claims that she is not interested in global shoe trends, and has faith only in true handcrafting and quality. In terms of her peers, she does admit that her way of thinking is similar to that of German designer Leonard Kahlcke. Elīna Dobele names Munoz Vrandecic as her favorite designer of the moment.